Interesting Facts: Gabite are fierce and predatory dragons, known for their scales that have medicinal properties and can heal most illnesses. Gabite have short, yet deadly sharp teeth, like their pre-evolution, Gible. They have been known to move at extreme speeds. NOTES: Start at the top of the head, close at the foot, following the numbers. Attach the jets on the head whenever possible, as well as claws as you go. 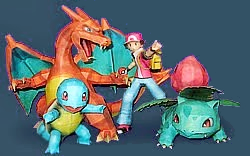 I'm trying to download this Gabite Papercraft but I can't because i get a coding of wierd letters. I have a Mac, and yes, I've listened to the FAQ but it wouldn't help. Please respond! Gabite is my favorite Dragon Type Pokemon and I am a good paper crafter. Please help me! Hooray! Been waiting for this one! @pokecraft Try 'saving target file' or some variation of that. It should give you an option to save it as a rar. Another option might be to copy all of the letters into a word processor, and saving that as a rar. I have a question about building the model. 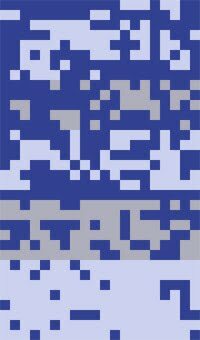 How do you get it to where when you glue the pieces together, there are no white edges/lines from where the pieces meet? I know if I do the overflow paint that could help, but do you think it's because I'm using paper that's too thick? Because at the edge where I cut it's white, of course, because the inside of the paper is now showing (...I hope that makes sense... I'm sorry if it doesn't haha). Anyway, is there any way to fix it? I use cardstock paper, so do you think I should use something else? It's because in your models I see absolutely no white lines from where the pieces meet, and I'd love it if I could get my models to look like that! For me, I use colored pencils to color the edges where it was cut. Never anything darker than the piece, and you don't even need to do much, just run the lead along the edge. Covers up the white pretty well. 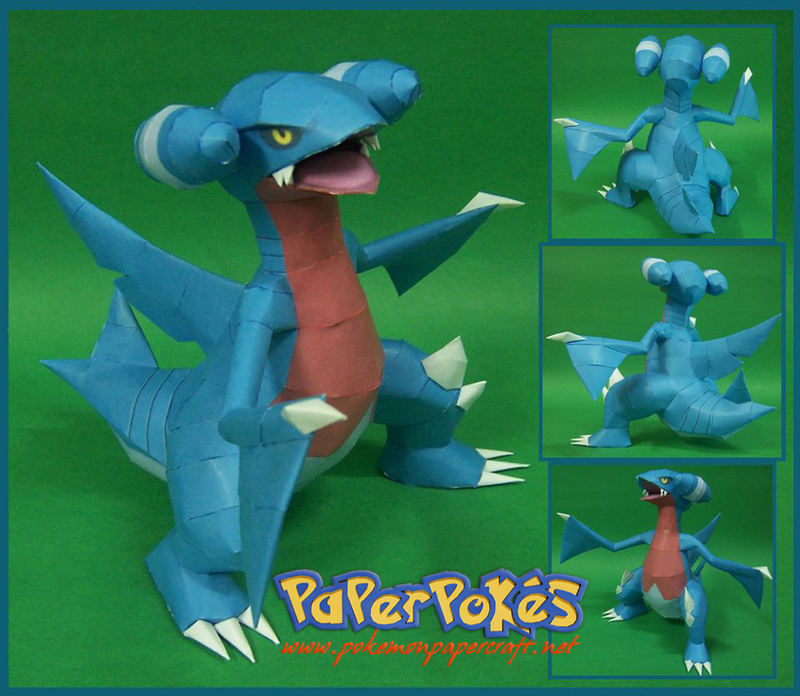 A wild PAPERPOKÉS CREATION appeared! 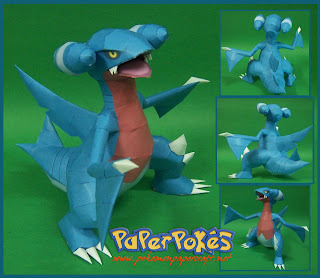 The wild PAPERPOKÉS CREATION used Awesome! 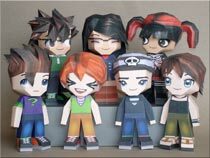 Papercrafter fainted due to awesomeness!